The tapered rollers of this series are designed to obtain driven curves and transport of heavy loads, especially pallets, handled with a regular flow. 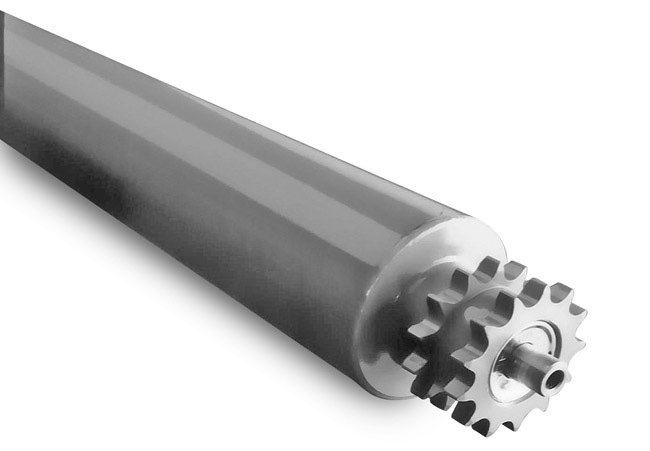 The rollers are originated from PS series with shaft d.20 and rigid radial ball bearings 6204. They are completely in steel with zinc-plated shell (J exec.) and their perfect execution ensures a regular flow of the pallets. The standard shaft execution is internally threaded for screw assembly, allowing an easy installation and making the structure rigid (R exec.). It is possible to manufacture special tapered rollers for curves rays different from standard and lengths, and according to clients’ special requirements depending from the required quantities.